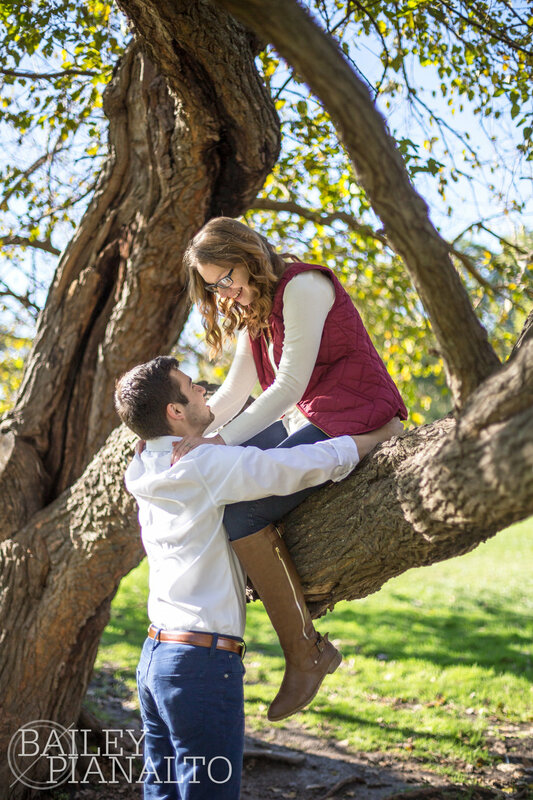 Today on the blog, meet Katie & Cooper! I had an absolute blast photographing their engagement session. We started the day in Loose Park to soak up some of those early fall leaves and beautiful greenery before moving up north to the National WWI Museum. Katie & Cooper have fond memories of time spent at Union Station and they wanted the beautiful Kansas City skyline in a few of their photos. 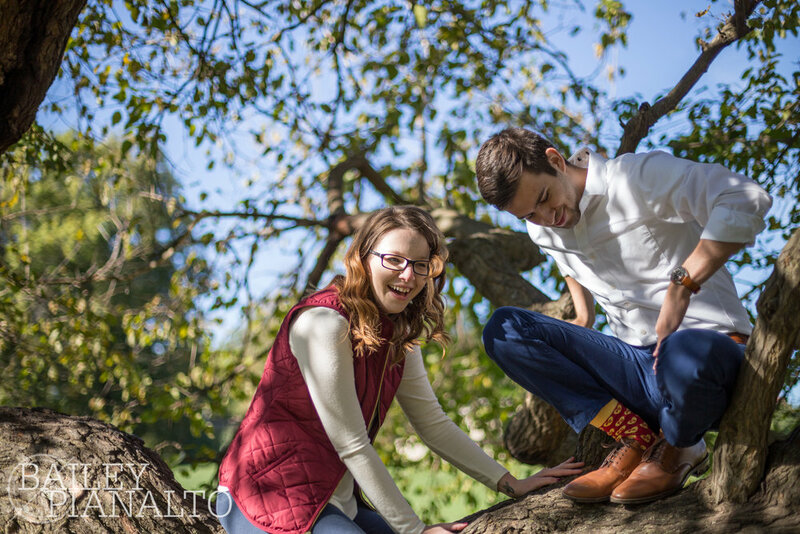 What I loved about photographing Katie & Cooper was their sense of adventure. They were so comfortable in front of the camera, and, more importantly, comfortable with each other. They really know how to have fun together and enjoy each other's company. I loved getting to capture their chemistry on camera! This tree is a well-known photo spot in Loose Park. It's got this perfect low branch where couples can sit in the shade. When I brought Katie & Cooper to this tree, they decided that the short branch wasn't enough of a challenge and insisted on climbing to a higher branch. As you can see below, comedy ensued! The real fun began when we had to get Katie *out* of the tree!